Baptism is a sign of God’s love and welcome to your child. It also marks your child’s place in the church family. ‘Baptism’ and ‘Christening’ are effectively the same service. Baptism in the Church of Scotland is recognised in other churches, including Roman Catholic, Scottish Episcopal and Church of England churches. Baptism is a sacrament, that is, a sign from God. It is a sign which shows us how God loves us and saves us from all the mistakes we make in life. In the dry climate of Israel/Palestine, where Jesus lived, rain was a sign of God’s blessings. We sprinkle water on your child’s head to show that we want God’s blessings to be on your child. Who can bring their child to be baptised? We believe that God loves every child, whether baptised or not. However, when you bring your child to be baptised, you indicate that you want your child to be brought up knowing God’s love. If no parent or close member of the family is a church member then the Church of Scotland has guidelines asking that a parent or close family member agrees to see that the child grows up as part of the church family, being reminded of God’s love for them. We are very happy for you to choose Godparents or supporters, who will be asked to make vows with you. For more information, we provide this leaflet. In the past, baptisms have usually taken place on Sunday mornings as we welcome children into the life of the church family. 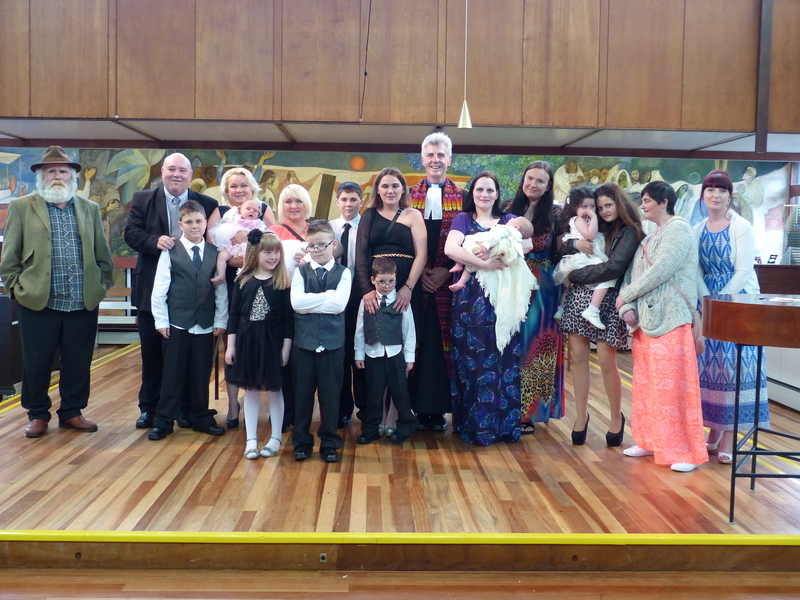 However, our church family now extends to a regular Messy Church family who meet each month. Therefore, we are planning our first Messy Church Baptism. This will be held during Messy Church. It will be a special occasion, because baptism is special, but it will be suited to the style of Messy Church.